Our facials are designed to nourish, feed and rejuvenate the tissues of your skin with ingredients rich in vitamins, minerals, antioxidants and enzymes which work to brighten your complexion, remove dead skin cells and infuse your skin with health and vitality. Working with nature’s ingredients will reveal your skin’s own radiance and vibrancy, while supporting healthy skin at the deepest level. For ladies and gentlemen with allergies or chemical sensitivities, or those who simply want to avoid harsh chemicals found in many beauty products, an organic beauty treatment from K-W Homeopathic Medicine and Wellness Clinic is the way to go. We take great care to tailor each of our facials specifically to your skin type and condition. And you get to enjoy a relaxing face and hand/arm massage while your skin rejuvenates. Hand-harvested from the wild Canadian coast of British Columbia, Seaflora brings you the freshest and purest seaweed skincare possible. 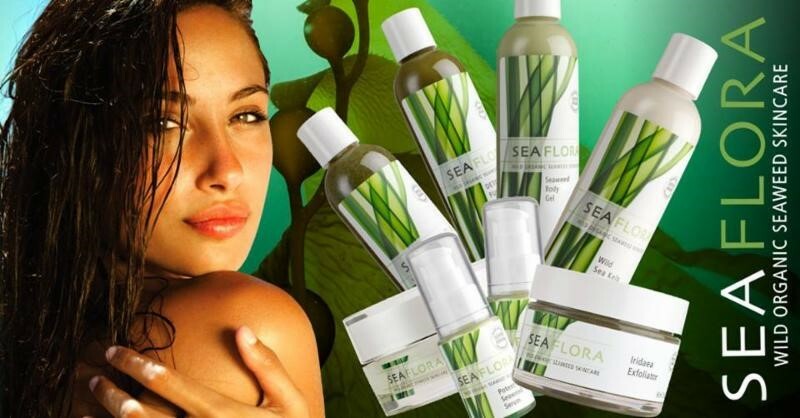 Seaflora is formulated first & foremost to provide effective professional spa treatments to focus on various aspects of anti-aging, nutrition & wellness for the skin. Wild seaweeds are rich in vitamins. Did you know wild seaweeds contain higher levels of vitamins A, B1, B2, B5, B12, and C, pantothenic acid, folic acid and niacin than fresh fruits and land vegetables? Seaweeds are also an important supply of 60 trace elements. They are a primary source of B12 and significant amounts of vitamin E & K and an excellent source of over 12 minerals, including potassium, calcium, iodine, magnesium, phosphorus, iron, zinc & manganese. In addition to these nutrients & minerals, seaweeds are a treasure of nutritional concentrates that include all amino acids that help firm and renew tissues and fatty acids to increase fluidity of cellular membranes and to reduce inflammation. They also contain high levels, about 10 times more concentrated levels than land-based plants, of beta-carotene and polysaccharides to slow skins aging, treat acne, irritated skin, or eczema problems. This revitalizing facial is recommended for sensitive skin to help reduce inflammation and redness.Complexion is balanced and clarified leaving skin rejuvenated and fresh. All of our hand-made facials are 100% organic and made right here in our clinic! We take pride in putting only the best and most natural ingredients on your skin. Our masks are made with real fruits, vegetables, and oils. They smell so good; you might be tempted to eat them too!